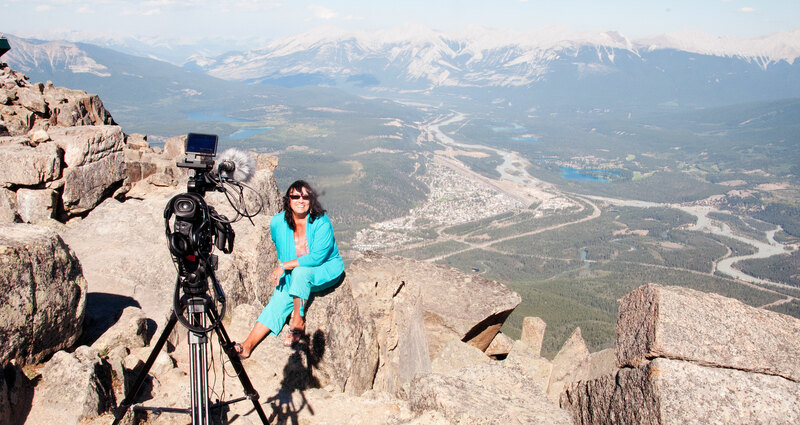 Many of the stories that People & Peaks Productions produce are shot on location in the Canadian Rocky Mountains. Documentaries feature the unique culture, history and traditions of Willmore Wilderness Park and neighbouring regions. Extensive research and development goes into each production revealing true-to-life stories, set in the remote recesses of Alberta’s north-eastern slopes. 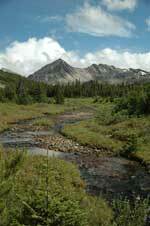 Willmore Wilderness Park is a pristine mountainous area with rugged forest and alpine expanses. The rivers and streams are crystal clear. Fast moving streams are a good source of drinkable water. The park is a paradise for outdoor enthusiasts; however, it should be noted that travelers in the remote areas should have extensive outdoor experience or hire an outfitter/guide for their expedition. Motorized activities are not permitted due to the designation of the Park. The only mode of transportation allowed in Willmore is by foot, horse or bicycle. Willmore Wilderness Park is 4,600 square kilometers (1840 sq. mi.) and lies directly north of Jasper National Park. 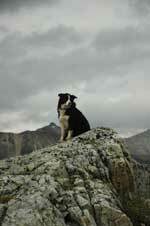 Willmore has fewer visitors than Jasper. Adventurers can view a variety of wildflowers and wildlife. Travelers often see mountain goats, bighorn sheep, elk, deer, moose, caribou, wolves, coyotes, wolverine, cougar, lynx, black bears and small game. The flowers are abundant in the summer months and turn meadows into a tapestry of color. There is also evidence of fossils that show the ancient history of the area. Some of the most superlative fossil remains are dinosaur tracks located just north of Grande Cache. 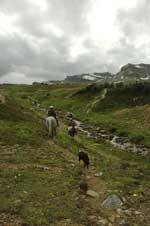 Ambitious hikers or horseback riders can view spectacular alpine and sub alpine lakes. The largest lake in the park is Ptarmigan Lake. However, only experienced outdoor adventurers should visit this rugged region of the Park. Serious outdoor enthusiasts can also travel to the Continental Divide. The Divide gives birth to many streams and rivers that supply water to the Peace and Athabasca River systems. Some of these rivers are the Sheep, Jackpine, Smoky, Berland, Sulphur, Muskeg and Wildhay. Rocky Mountain whitefish, rainbow trout and bull trout are common in many of Willmore’s streams. The heavily timbered trails are often difficult to traverse. Deadfall covers many of the original paths, and work is needed to restore the travel-ways to their original condition. This is one of the Foundation’s goals. Trips through Eagle’s Nest Pass, Jackknife Pass, Rocky Pass or the most westward passes on the Continental Divide are breathtaking and beautiful. Trails along the Divide meander through Forget-Me-Not, Fetherstonhaugh, and Morkill Passes. Horseback trips follow the old trails used by the outfitters of the past. Backpacking and mountain biking are great ways to get exercise and experience the scenery for those who do not use a horse. If photography is a passion, the mountain vistas, abundance of wildlife and the variety of alpine flowers will quickly fill rolls of film. Although Willmore is a park, both hunting and fishing are allowed. Local Commercial Trail Riding Outfitters are able to enhance these activities. Winter is a time of year where there are few visitors to Willmore. Trapping is still an activity that is carried on in the park. There is occasional mountain touring on skis in the area. Hunting is a popular activity in Willmore Wilderness Park. Access for hunting is on horseback or foot. Inexperienced travellers can be caught off guard when taking a trip in the Park, as the weather changes abruptly and the river can fluctuate a great deal. Mountain weather is unpredictable. You must always expect the unexpected. 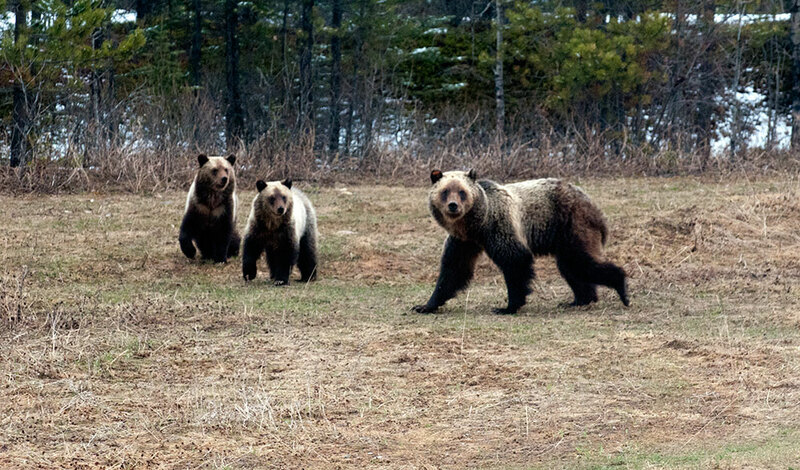 It is easy to get turned around and lost—or run into an unwanted bear. Safety is the first consideration when traveling in Willmore. Willmore Park has four major staging areas making access available. These areas include the Sulphur Gates, Cowlick Creek, Berland River and Rock Lake. Corrals are present for those who venture into the park on horseback.